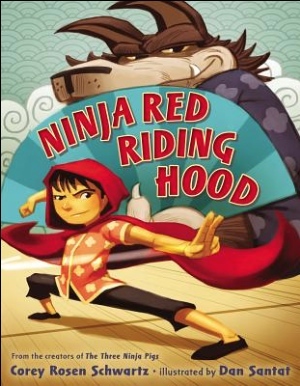 This entry was posted in Book Reviews, Katie, Picture Books, Puppet Book Reviews and tagged author, Corey Rosen Schwartz, Dan Santat, illustrator, Max, Ninja Red Riding Hood, Puppets Love Children's Books. Bookmark the permalink. Thanks for the recommendation, Max! I’ve reshelved this book many times at my son’s school. Now it’s time for me to check it out!